This wasn’t an easy decision, given all the wild flowers I grow for tea, but I’ve decided that my favorite plant with weed as part of its common name is… dill weed. 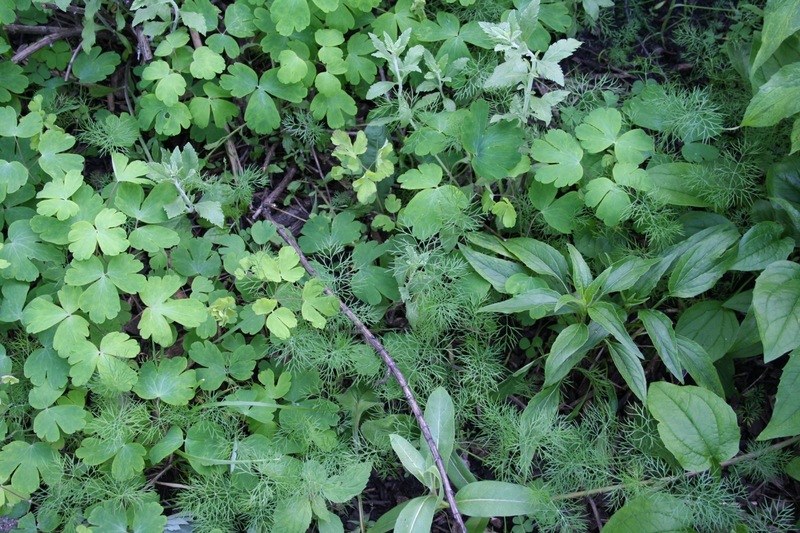 First, a bit about dill weed, or Anethum graveolens. It grows as a self-seeding annual here in the north land. Ask any experienced gardener, and they’ll likely say “plant it once and you’ll always have it.” It’s true. I bought Grandma Einck’s dill seed from Seed Savers at least five years ago and have never bought it since. Every spring I worry a little, waiting to see if any will come up, and every year it does. My entire front yard looked like this about a month ago! 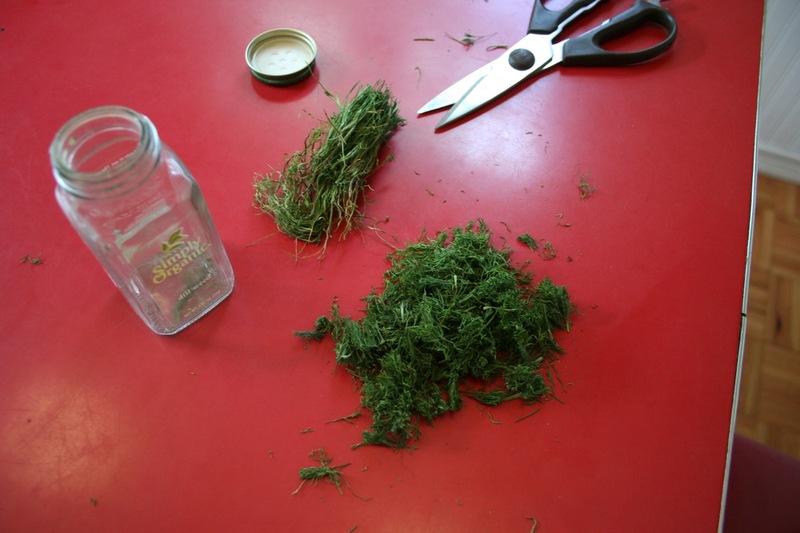 One of the greatest things about dill is its many and varied uses. 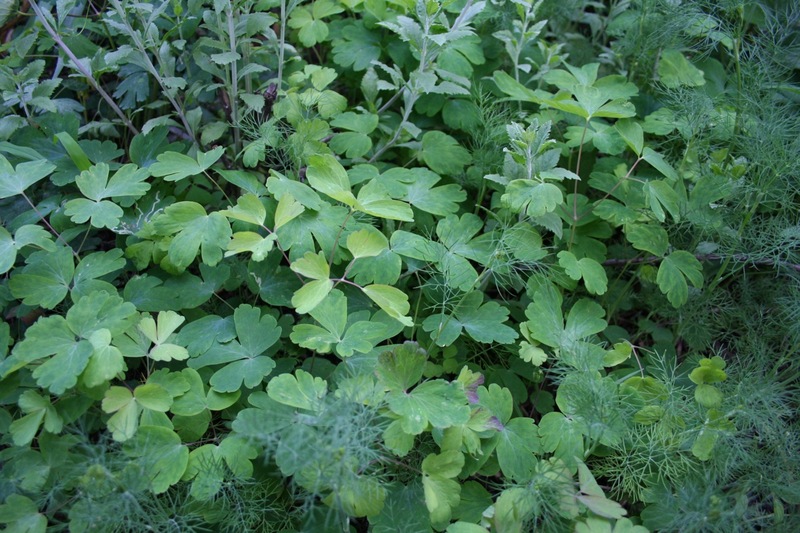 Starting in the early spring, as soon as it’s big enough for positive identification, I start thinning it out a little and adding the baby plants to salads. I’ve thinned the dill out a little bit now, but it adds a nice accent. Also: this is one square foot of my front yard garden. The entire garden looks like this, all along the front sidewalk and path along the house. So, I’ve got plenty of dill. And the uses go on and on. So far this year, it’s been fresh salad eating and a bit of drying. But when the dill plants get flowers, I’ll use the flower heads to flavor dill pickles. Did I mention that, when in bloom, dill attracts beneficial insects to your garden? 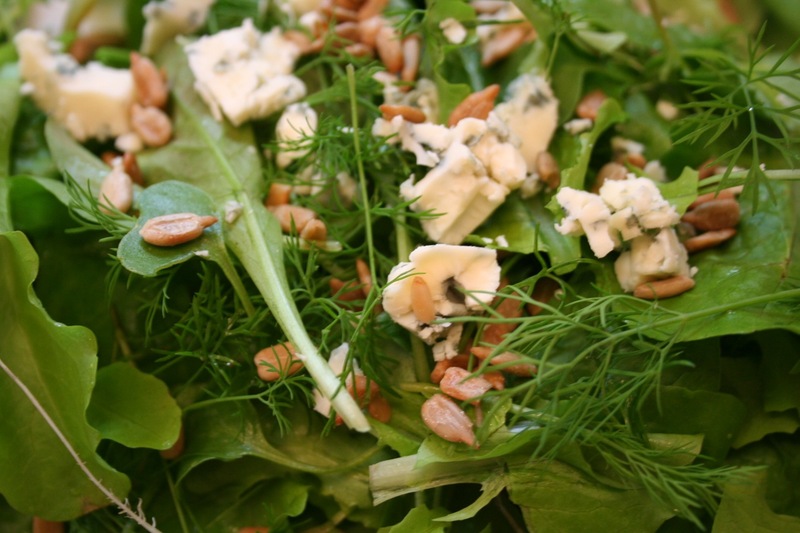 The seeds can even be used and have a flavor similar to caraway, but more, well, dill-like. 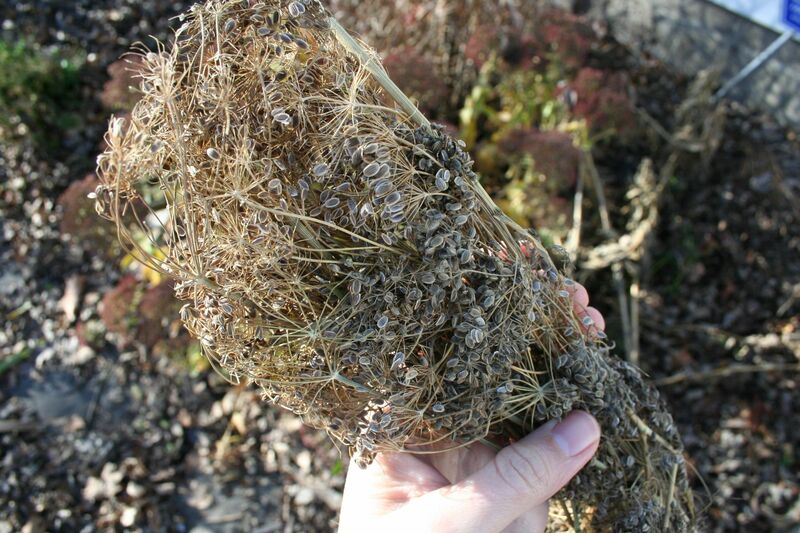 Just be sure you leave a few seed heads in the garden for next year’s crop. 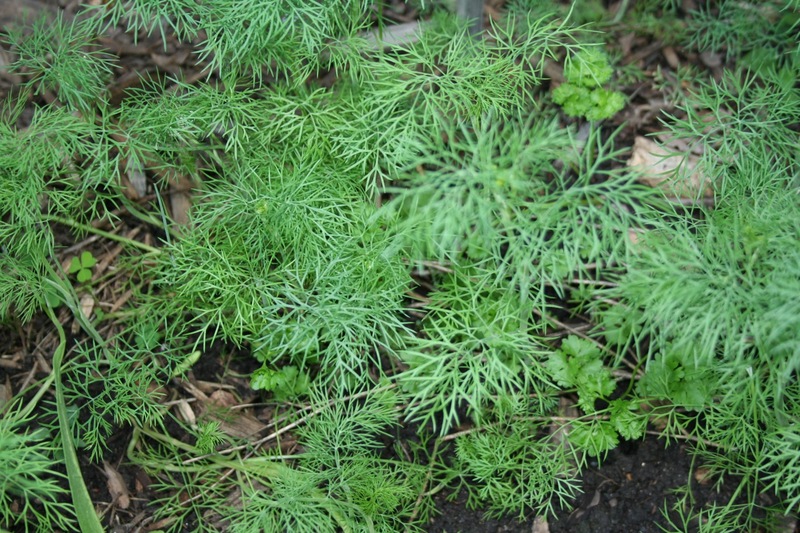 Dill is among a few annuals that self-sow here, including curly-leaf parsley, cilantro (not quite as readily, but you’ll get a few), fennel, and German chamomile. I’m sure there are others, too. Am I missing any? What’s your favorite “weed”? Categories: Gardening, Practical | Tags: drying herbs, edible landscaping, Permaculture | Permalink. 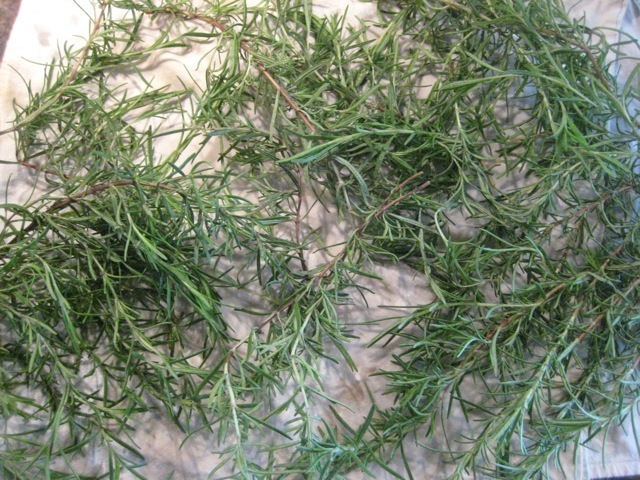 Here’s what my rosemary looked like when I picked it in September. 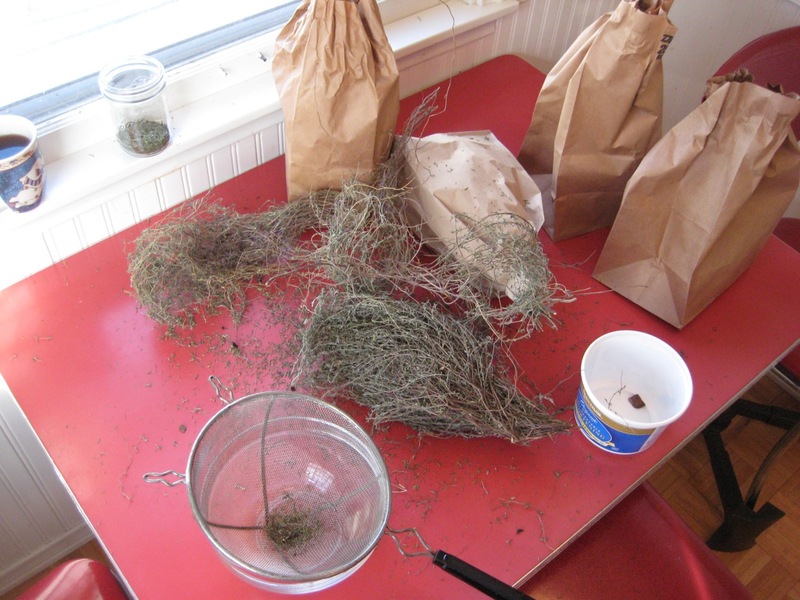 I washed the herbs, let them air dry for a couple hours, then hung them upside down inside paper bags from the liquor store. The paper bag is nice because it keeps the dust off in case you don’t, uh, get around to processing the herbs right away. It also catches any leaves that might fall off. Roll it around in your hands over the top of a bowl with a mesh strainer in it. Shake the strainer to get the leaves out. 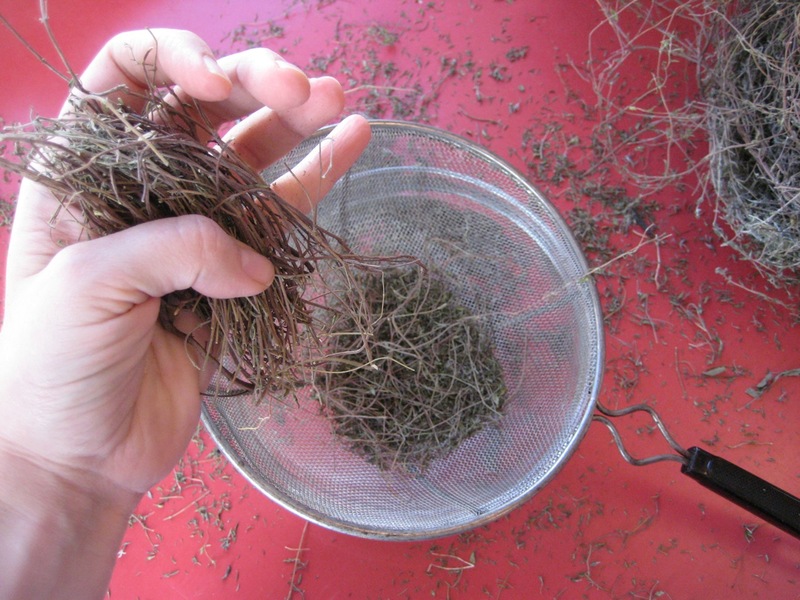 You may have to still pull some of the tiniest twigs out by hand. 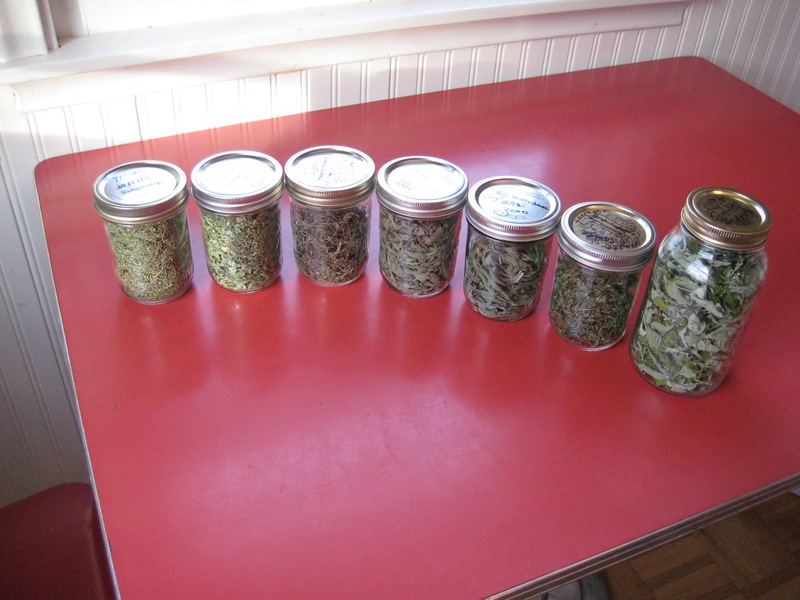 There you have it, my herb harvest for 2010. 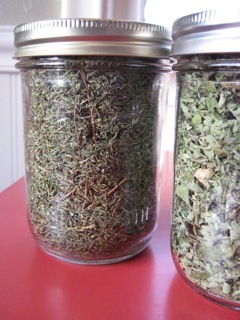 Left to right: thyme, oregano, rosemary, sage x2, tarragon, and raspberry leaves (for tea). 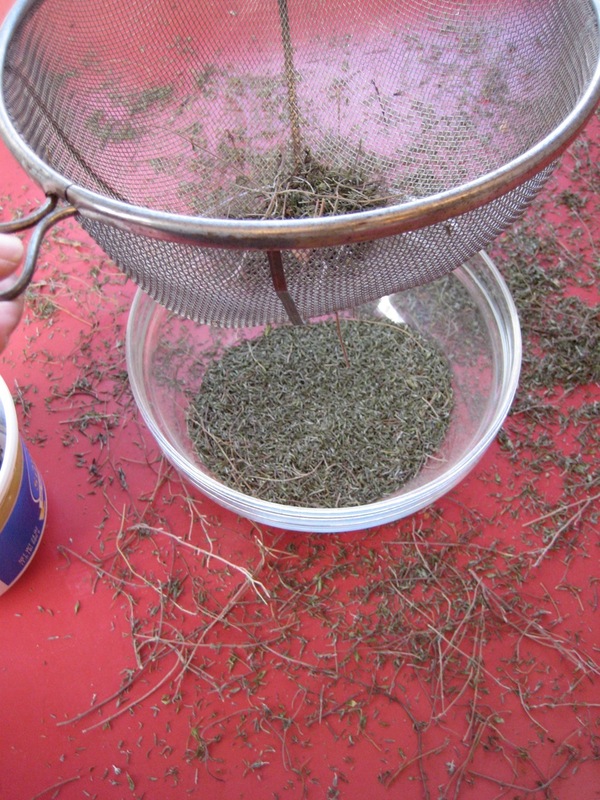 Herbs are super easy to grow, and both thyme and oregano are perennials here in Minnesota. Not sure about tarragon or sage. Rosemary is most definitely NOT perennial. I only planted one plant each of tarragon, sage, and rosemary, but the sage got absolutely huge. And, as if all this wasn’t exciting enough: oregano attracts beneficial predator insects to your garden. Adam was the most excited to see this entire PINT JAR of thyme, his favorite herb. Think it will last until next year? We’ll see. It really only has to last until spring when the 14 thyme plants in our flower bed get going again. Rosemary is my personal favorite herb, and my rosemary pint was only slightly more than half full. To do for 2011: two rosemary plants. Categories: Cooking and baking, Gardening, Practical | Tags: companion planting, drying herbs, raspberries | Permalink.